Dorothy J. Farr is a self-employed consultant, who had a long history in the state of Maine prior to her relocation to Pennsylvania. 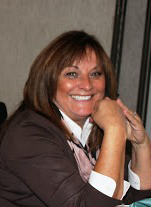 She was instrumental in the development of CCSME and continues to serve on our Board of Directors. She is a Pennsylvania Licensed Social Worker, Credentialed Co-Occurring Disorder Professional — Diplomate, and State of Maine Licensed Alcohol and Drug Counselor.